Estonia is a country full of surprises. It might be known for its successful start-up companies, or the fact there are the most supermodels per capita, and perhaps as one of the least religious countries in the world. More importantly though, I believe Estonia’s coffee scene is definitely catching up with the rest of Europe and works as a surprise factor for anyone looking for a good caffeine fix. 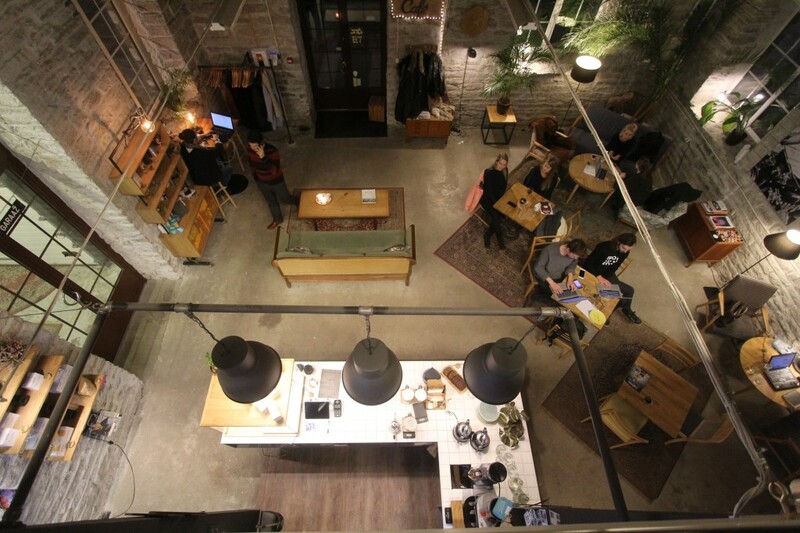 In Tallinn the coffee scene has only started to truly bloom over a year ago. 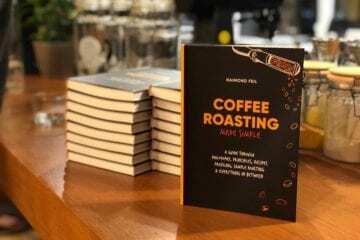 Most of the people behind the recently opened cafes have grown out of Gourmet Coffee, a business in which the specialty coffee was ignited in Estonia approximately 8 years ago. 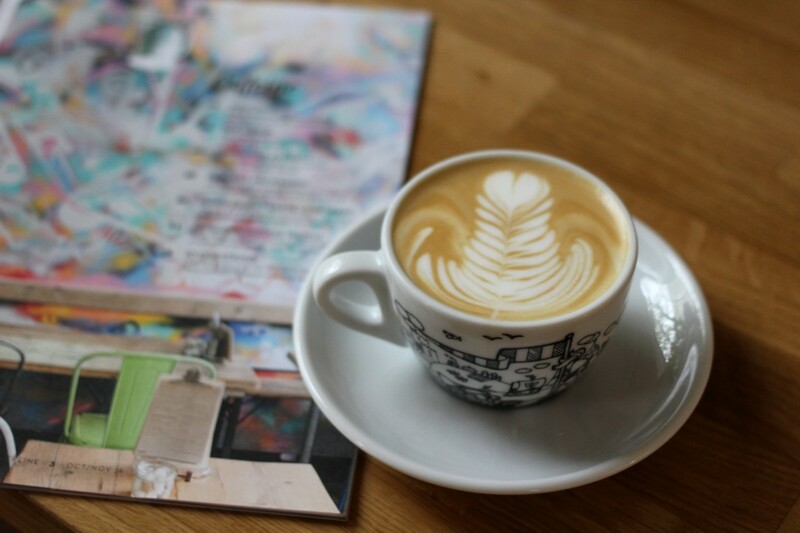 Small independent cafes and roasteries have then followed, such as The Living Room, Kokomo, Coffee People, The Brick Coffee, Renard Coffee Shop, Kohvik August, Björn Espresso bar, Nohik, and so on. Although the scene is now quite diverse, it is from a large part thanks to cafes only opened within the last year. 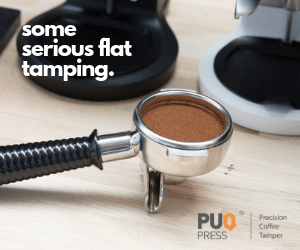 However, there are new places popping up all around town, even situated very close to each other, creating then a domino effect–there is no stopping of the specialty coffee culture now. Renard Coffee Shop is located in the hip area of Telliskivi, which has undergone major transformations in the last few years. It is now the home to many quality restaurants, designer shops and street food containers (the fast food is being served out of actual shipping containers). Its proximity to the Old Town and small independent businesses make it an ideal place for tourists to explore. Some of the restaurants in the area are truly hidden pearls and Renard Coffee Shop is one of them. 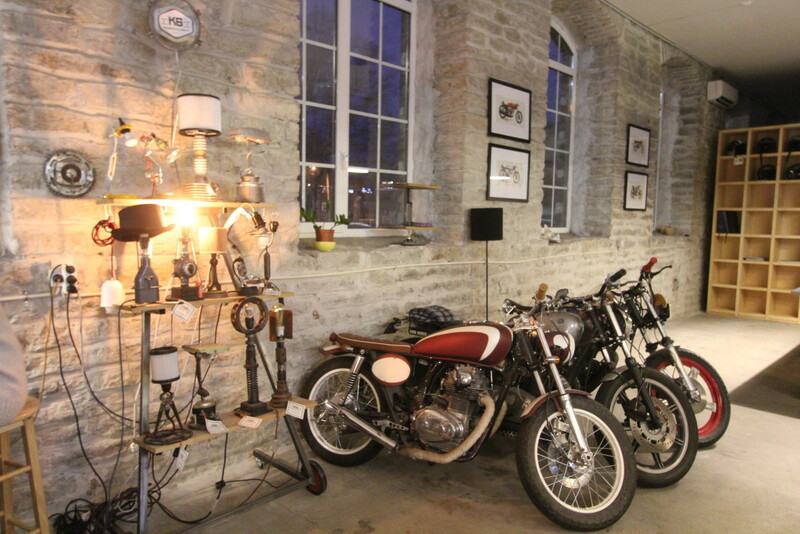 The cafe is located on the grounds of a spacious limestone building that used to serve as a train factory. More specifically, the space that the cafe now occupies was used to dry wood for the rail tracks. However, after renovations it looks modern and clean with each mismatched object having a specific purpose in the cafe’s interior. 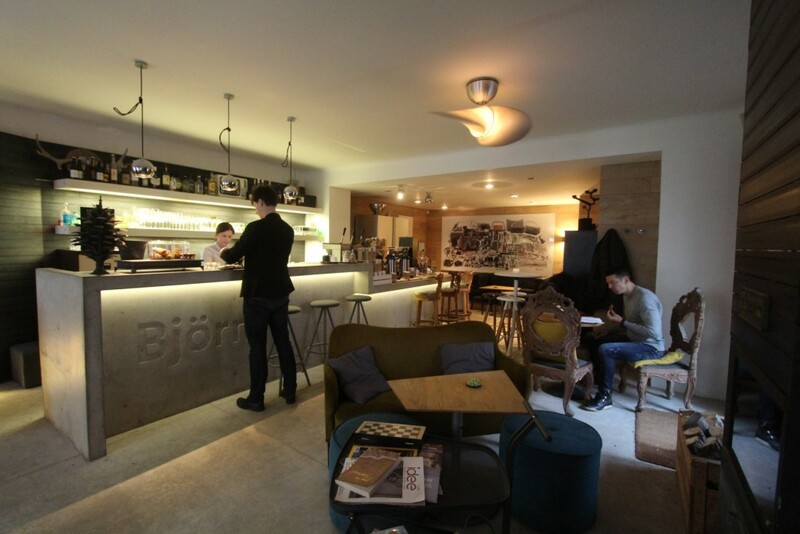 Some of the cafe’s owners and staff have a background working with Gourmet Coffee, as do many other specialty places in Estonia. However, Renard Coffee Shop was one of the first places that was solely focused on coffee and more surprisingly, brewing coffee only on a brewbar. Of course, they got an espresso machine soon after, a La Marzocco Linea Classic, which they lovingly named Francesca. Nonetheless, serving filter coffee as the only option in the beginning was probably the best decision on their part, allowing them to teach Estonians to drink coffee without sugar or any milk involved. 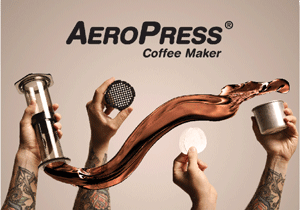 Recently they even upgraded their espresso machine with pre-infusion, which allowed them to brew espressos with better consistency and more control. 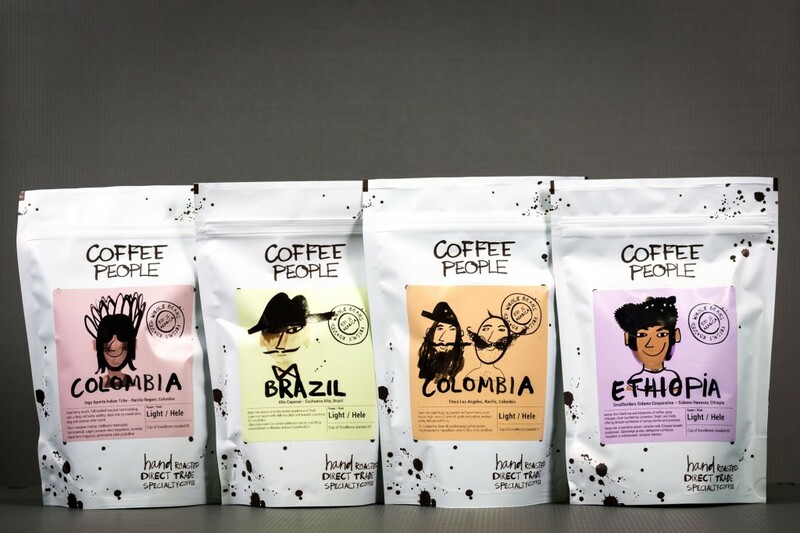 Renard is well-known within the specialty coffee community in Estonia, Scandinavia and the Baltics. 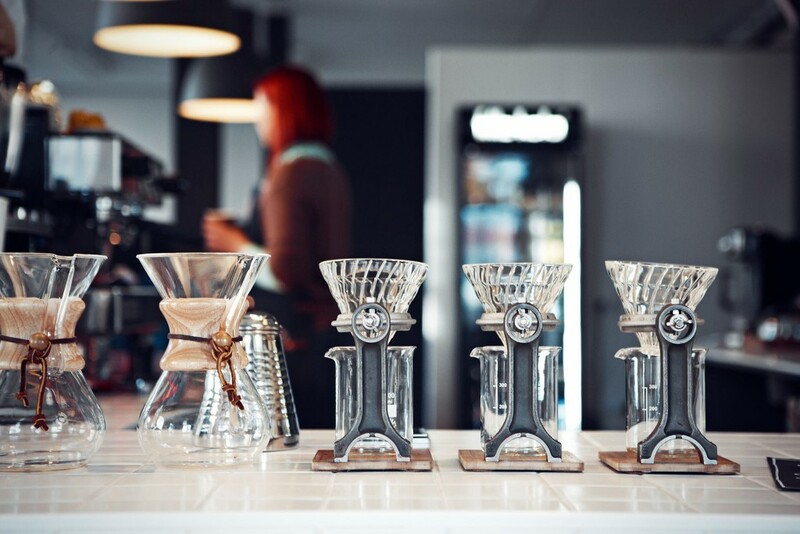 The cafe uses different European roasteries, specifically from Nordic countries, to keep the selection of both filter coffees and espressos as wide as possible. 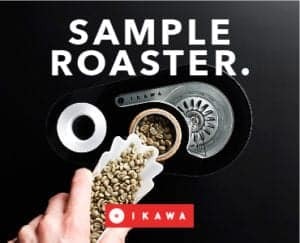 Therefore its clients always have the option to compare different roasteries as well as enjoy the best selection of beans depending on the season. It is clear from the first moment that this place is the one for getting a quality cup of coffee–the baristas are knowledgeable and are happy to recommend something from the selection of coffee on offer. I sat in one of the many comfortable chairs, from where I could see the whole cafe. Peaking upstairs, there is a record shop and the coolest barber’s in town. I was also greeted by a friendly dog who was eager to play with anyone coming up the stairs. I opted for a V60 and a flat white. 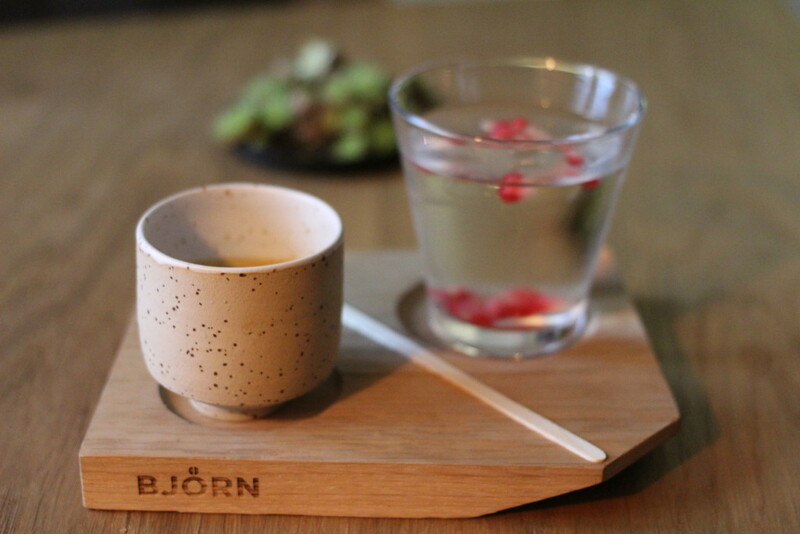 The former was served on a nice wooden tray and the latter in a white ceramic cup. 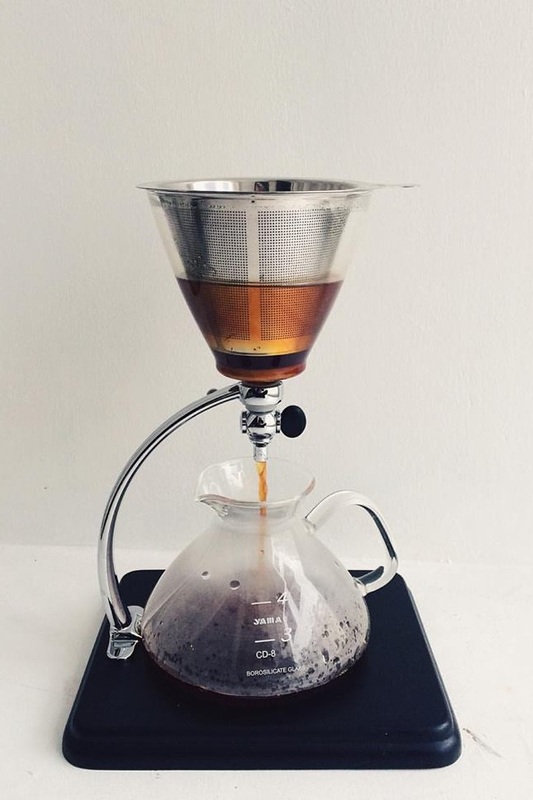 The beans for the V60 came from Love Coffee Roasters in Lund, Sweden and after a long decision I went for a naturally processed Ethiopian Idido. The cup was sweet, balanced and when it cooled down, the aftertaste had strong hints of blueberries. The flat white was made from a Brazilian natural from Sundlaug roastery, located in Nottinghamshire, the United Kingdom. At first, it had a very nutty taste, but mellowed in the second sip and even had a little fruity aftertaste. Their chocolate cookies are to-die-for and are a must-have for every chocoholic out there! It is the ultimate student hideout right in the city centre. 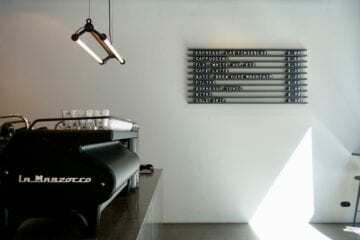 However, do not be fooled as this cafe’s focus is in the right place–on specialty coffee. The Living Room opened its doors in 2012 and roasts their coffees in-house, offering the freshest brews in their shop. It has a wide selection of filter methods that will make the decision only harder. 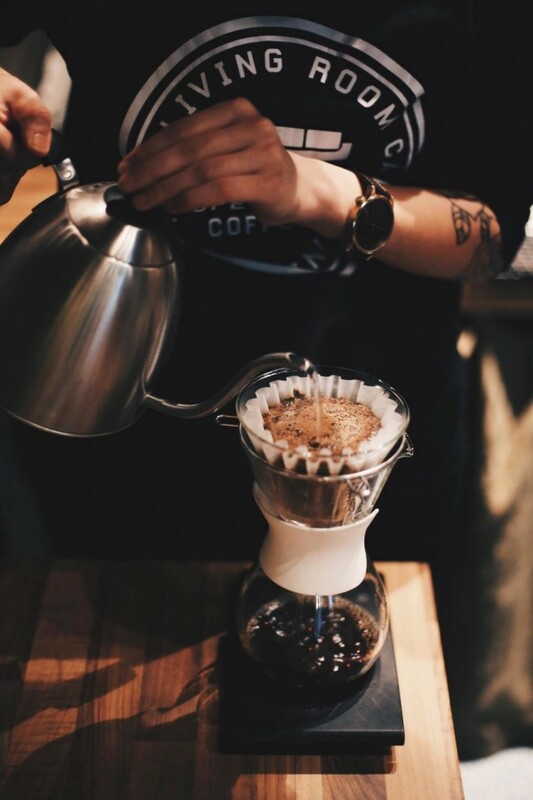 You can choose between French press, Aeropress, Kalita, Cleaver, Chemex, V60 and Silverton. However, you can always ask the barista for suggestions! At the time of my visit, there were four choices of filter coffee–Costa Rica, Bolivia, Burundi and Sumatra. The Specialty Coffee Menu offers long descriptions about each coffee, ultimately easing the customer's experience. Cupping scores of each coffee are also included. I decided to go for a cappuccino, prepared from the in-house espresso (a blend of beans from Costa Rica, Colombia, Indonesia, Ethiopia, Kenya and Brazil) and a Sumatra Gunung Gayo, prepared on a V60. The cappuccino was creamy and more of the traditional taste profile, chocolaty and nutty. The filter coffee was a very well balanced one. I enjoyed its fruity acidity as the sugary sweetness balanced it out. This coffee was a peculiar one because it was light and easy to drink, yet somehow it felt like it still had a round and full body. The atmosphere of the cafe is very relaxed and cozy, the low windows that open to the street give a view of kids rushing home from school and of trams, buses and cars racing each other down the street. 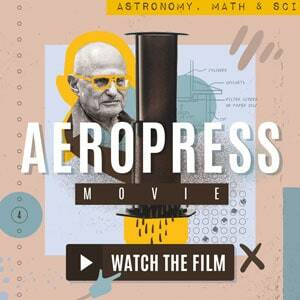 Katya Russell is the person responsible for the bar, the Alex Duetto III espresso machine as well as the roasting. She is truly a multi talent as she has learnt almost everything about roasting from her father. Her knowledge and interest in coffee was clear as we discussed our shared dreams of one day visiting Central and South American coffee farms. Katya keeps the cafe’s quality high and their always changing coffees a must-visit, when wanting to try new flavours. As it is a student cafe, there is no surprise that they also make up the majority of their customer base. Some of them sitting in groups, enjoying lunch and discussing a group project, some hidden away behind their laptops or listening to music. This makes the place feel very youthful and chilled-out. 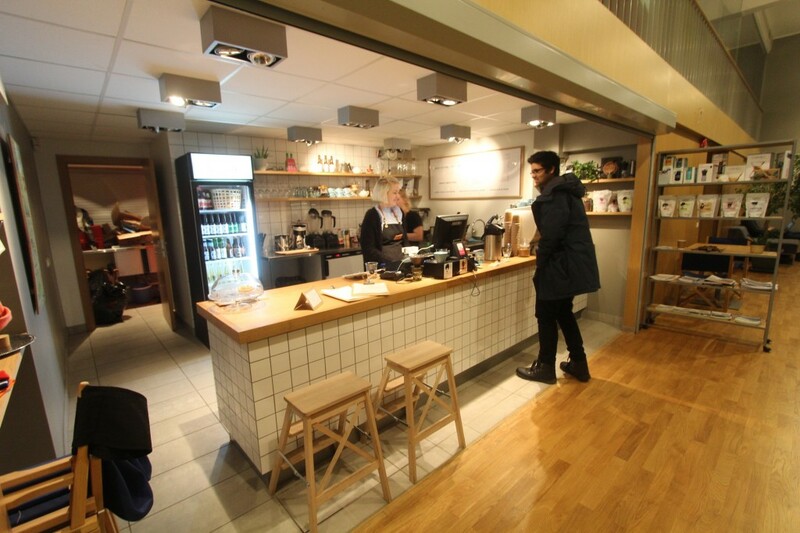 The main goals of the cafe are to be a hub for students around the city, and to keep the prices affordable of both the coffee and the food they serve. The financial district and media hub in Tallinn in the city center is an area of big skyscrapers, and it contrasts fully with the the tiny house that hosts Björn Espresso Bar. It instantly catches your eye. The owners have grown out of the restaurant Klaus located close to the seaside, which makes Björn ultimately its little brother. People in suits are rushing to work and sleek black cars park on the side of the road while I make my way through to get my morning coffee. It is not surprising that most of the cafe’s regulars are bankers, TV presenters and journalists who are apparently just popping down from their offices to get a coffee. However almost everyone orders their drinks to go, leaving me sitting in the cafe alone for quite some time. The cafe’s interior feels homey, even though it looks very modern with a big concrete counter that shines in the centre of the cafe. The barista is welcoming and promptly starts to help customers to choose between different coffees of the day. 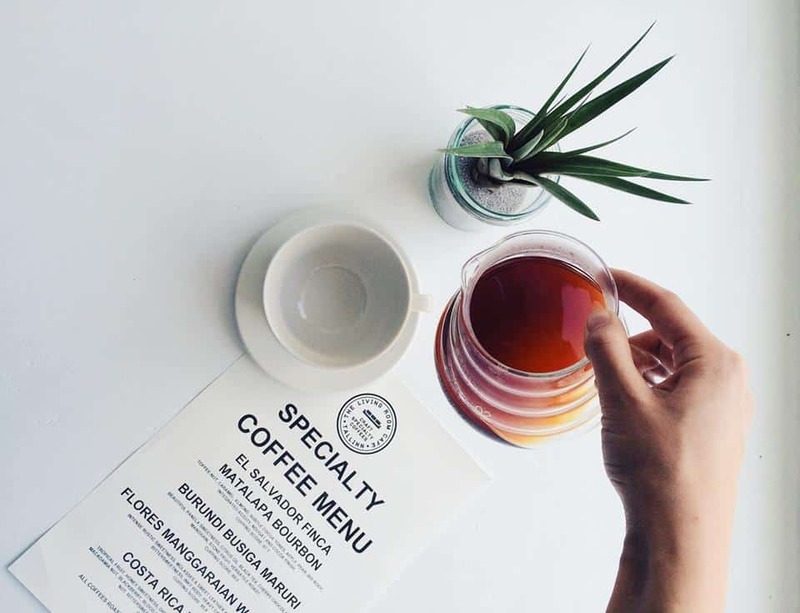 Their menu portrays different options of espresso-based drinks, but their filter coffee is served only from a large thermos. The beans for the batch brew change every day. 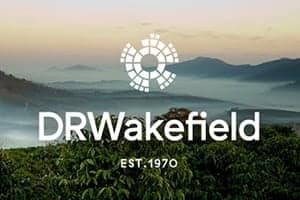 They also serve a wide range of alcoholic drinks, so if coffee is too much for one day this place is definitely worth a visit for a fancy drink! At the time of my visit they had three options of espresso–their own house blend of Colombia, Guatemala and Brazil, Kokomo’s espresso blend (Brazil, Costa Rica, Kenya) and a guest roaster’s single origin espresso from Drop Coffee, Sweden. It was from El Salvador and I decided to go for an espresso and a cappuccino. The presentation was nice and clean, with lovely porcelain cups that make you want to hold your coffee in your hands the whole time. The filter of the day was Kokomo’s fully washed Colombian. It was definitely more dense than I would prefer my filter coffee to be, but it wasn’t a bad cup, certainly a good choice if you need to grab your coffee on the go. It had strong notes of nuts and a little fruity acidity, yet the full and dense body was the main thing I noticed in the cup. This cafe is a little different from all of the ones above. First of all it is located on the outskirts of Tallinn, so it takes a bus, a trolleybus or a car to get there, and secondly, it is located at a university. I know I would’ve been glad if there had been a specialty coffee shop on my campus while I was studying, so I do genuinely envy the students of Tallinn Technology University. It was an hour before closing when I got there, so it was quiet enough to have a nice chat with the baristas about Tallinn cafes and their coffees. Nohik mostly works with Coffee People (formerly known as Gourmet Coffee) who work as green and roasted coffee suppliers in Tallinn. I once again decided to order something from both the espresso and filter menus–my traditional cappuccino and V60 combo. For that day, Coffee People’s espresso nr. 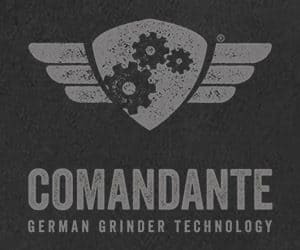 3 (a blend of microlots from Colombia and Honduras) was in the grinder. I got to taste the cappuccino first, and even though the first sip was a bit too dark and strong, overall the coffee had a creamy texture and was smooth. The V60 was also from Coffee People, this time a Colombian. I was intrigued to try this coffee because it had had previously a lot of media attention. The Indigenous people of Inga Aponte tribe who produced the coffee in Colombia came to Estonia after Coffee People had roasted their coffee. 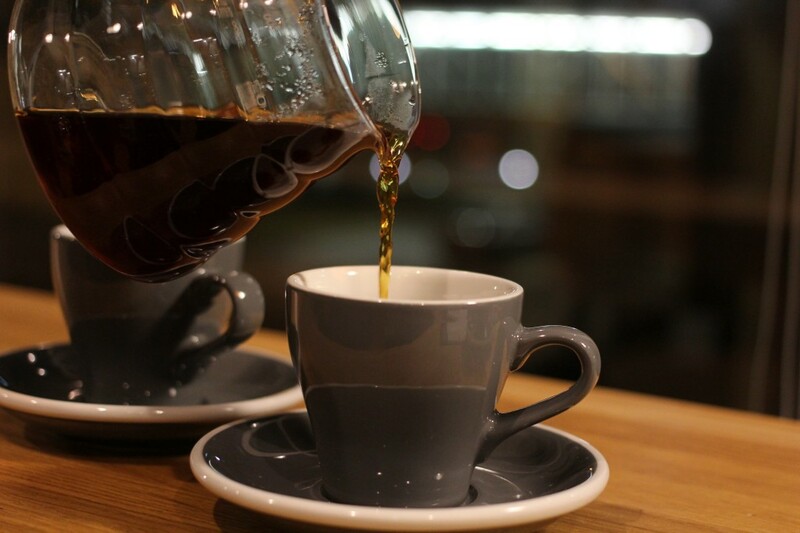 The V60 was served in lovely grey cups, which made the overall experience very neat. I liked that the cups that came with the filter coffee were small enough to be filled to the top, but I could also have a second refill when the coffee had cooled down. 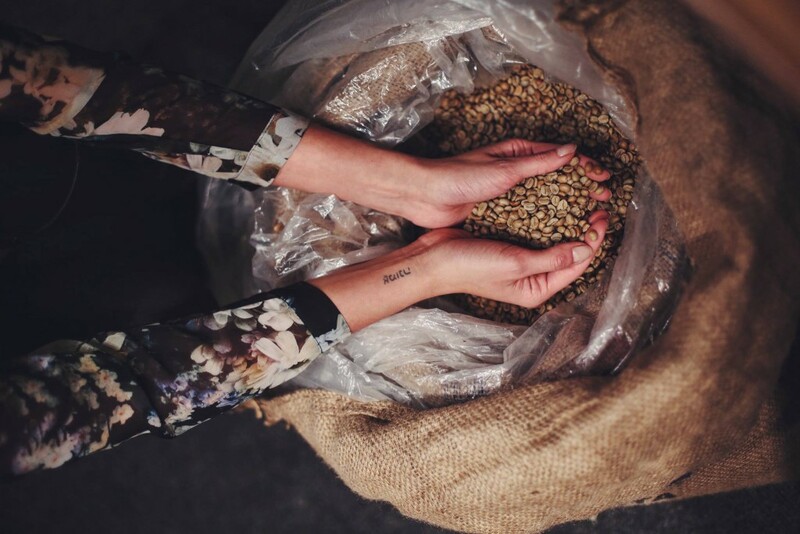 In general, it was soft, round and very mild, with low acidity and a little bittersweetness–something you would expect from a Latin American country. While the staff at Nohik works with the equipment that came along with the space, I was surprised by the really good results. What pleased me even more is how the baristas who were also students got excited when they talked about coffee or their cafe. It was obvious that at Nohik, the staff liked their jobs and put care into each cup of coffee. Kelly Maltsaar currently works full time as a barista. Even though she works with coffee daily, she still loves to learn constantly, visit other cafes as often as she can, and with her camera by her side absorb inspiration from everything that catches her eye. 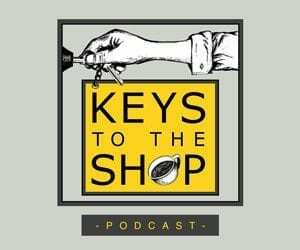 How different are Speciality Coffee Shops from Mainstream Cafes?